Whether you're bringing entertainment to the office or outfitting your man cave with amazing multipurpose speakers, hit play like the professionals-and add a Sound Bar System to your cart today! - The ultimate replacement for your messy speaker system! - Full-range speakers (4): 2"
- Tweeter speakers (2): 1"
- Net weight: 11.5 lbs. - Transform your home theater with one simple system! 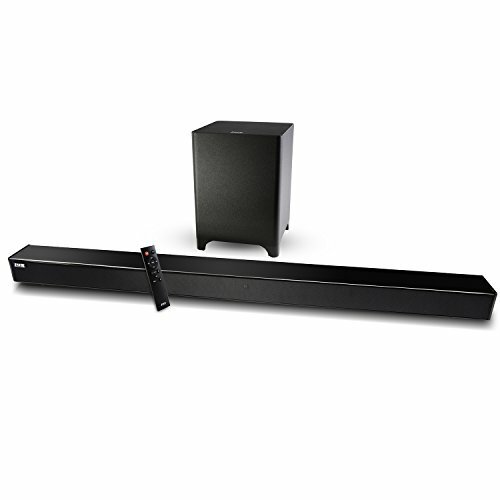 COMPLETE HOME THEATRE SYSTEM - Mini Soundbar & Subwoofer Combo Delivers Loud, Crystal Clear Audio & Booming Bass for Movies, TV, Videogames, Music, Etc.